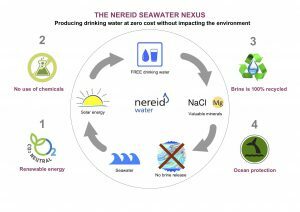 This is how the Swiss based Research & Development company Nereid SA engineered the process to obtain potable water from the sea, for free. Watch the short documentary here above to understand how using basic laws of physic, this Geneva company lead by its CEO Mr Huy Ton That could save the planet with its technology. Mariam Elevate Awareness supports the R&D Company Nereid SA for its positive impact to the populations in the need of drinking water and also for the positive impact to the eco-systems. Boire de l’eau sale et de l’urine des boeufs. Copyright © 2019 Mariam. All rights reserved.